What?! This is the Moon G.o.d's Secret Record?! 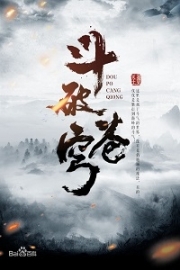 Shi Feng stared at the ancient book in his hands time and again, his heart unable to calm down even after some time. Even his breathing right now had bated. There were Five Great Alchemy Scriptures in G.o.d's Domain. These Five Great Alchemy Scriptures were like the Holy Bible to Alchemists and were highly sought after. In the past, every Alchemist that had managed to get their hands on these Alchemy Scriptures had become famous individuals in the alchemy world. Meanwhile, one of the Five Great Alchemy Scriptures was the Moon G.o.d's Secret Record. Legend had it that the Moon G.o.d had edited it extensively. However, many wars had also been waged between kingdoms and empires because of the Moon G.o.d's Secret Record, and it ended up divided and scattered all over G.o.d's Domain. Eventually, with the pa.s.sage of time, the Moon G.o.d's Secret Record had disappeared entirely. 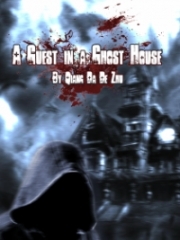 Shi Feng had never imagined that he would actually come across the Moon G.o.d's Secret Record, and even obtain it, in the Moonlight Courtyard. Following which, he clicked excitedly to check the Attribute Panel of the Moon G.o.d's Secret Record. A detailed compilation of the Moon G.o.d's experiences and techniques in alchemy. There is a total of three volumes. One can obtain the Moon G.o.d's legacy when all three volumes are collected. It's actually split into three volumes? Shi Feng's initially pa.s.sionate heart cooled down immediately. However, after giving the matter some thought, he found the situation reasonable. The Moon G.o.d's Secret Record had been contested by ancient kingdoms and empires many times before. On the other hand, it had been many years since anyone had set foot into the Moonlight Courtyard. It was clear that the Moon G.o.d's Secret Record here did not possess any relation to the ancient wars waged on the continent of G.o.d's Domain. The only explanation for there being a copy here was that there wasn't only one Moon G.o.d's Secret Record. Nevertheless, Shi Feng was already very satisfied with this outcome. 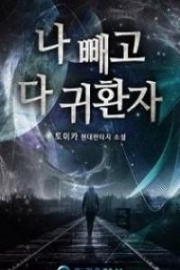 Among the three volumes comprising the Moon G.o.d's Secret Record, the first volume contained information regarding the various materials in G.o.d's Domain. It was like an alchemy encyclopedia. With this book, players could understand the various properties of alchemy materials and establish a solid foundation for when they were trying to create new recipes. The reason why t.i.tan City's Research Rooms could aid players in reaching the Master and Grandmaster ranks was mainly because of the wealth of information contained within the rooms. Meanwhile, the research information of the Moon G.o.d was most likely not one bit inferior when compared to the alchemy database of t.i.tan City. The Candlelight Trading Firm would have a much easier time nurturing Master Alchemists. Following which, Shi Feng stored the Moon G.o.d's Secret Record and began checking the other items he obtained. Although Shi Feng had placed all of his attention on Raymond inside the Research Room, before he sprang into action, he had already planned to take away the several items that radiated Divine Might. Excellent! There are exactly six G.o.d Crystals! Shi Feng grew excited as he looked at the six items radiating Divine Might in his bag. Currently, the Soul Orb was missing only six G.o.d Crystals to remove the first seal Paimon placed. Although there were bound to be many more G.o.d Crystals, which he had not managed to discover, left inside the Research Room, Shi Feng had spotted only eight items with a high potential of being used as G.o.d Crystals. Meanwhile, as he was looting the room, he had managed to grab only seven of those items. If he had tried going for the last one, there was over a 90% chance that Raymond would have killed him. Fortunately, his insight wasn't too bad. Of the seven possibles he picked up, after going through the Omniscient Eyes' appraisal, six were confirmed to be G.o.d Crystals. That was just the right number to lift the first seal on the Soul Orb. This was also the reason why he had chosen to challenge the Asura Mode Promotion Quest back then. As long as he removed the first seal, the Soul Orb would become his item entirely. Even if he died, he would not have to worry about the Soul Orb being teleported back to Paimon's hands. Even if he failed his promotion quest this time, he would not have made a wasted trip. Thinking up to this point, Shi Feng took out the Soul Orb and started letting it absorb the G.o.d Crystals one after another. With each G.o.d Crystal absorbed, the demonic power the Soul Orb radiated weakened slightly. At the same time, the pressure it emitted also strengthened. When the Soul Orb absorbed the last G.o.d Crystal, it suddenly struggled free from Shi Feng's grasp and flew up into the air. It then formed in the sky a sevenfold magic array covering a radius of over 1,000 yards. The amount of Mana the magic array drew was several times more than when Raymond was mobilizing the Mana in the Research Room. Meanwhile, the pressure the Soul Orb emitted also transformed into Divine Might. Like a slumbering Dragon awakening, the Soul Orb made the distant Demonic Beasts and Demons shudder involuntarily, their bodies collapsing to the ground as they became paralyzed with fear. A frightening Mana vortex then formed around the Soul Orb. A will descended from the Soul Orb with pitch-black demonic power vying to suppress this will. "Who is it?! Who dares break my seal!?" An illusory figure suddenly appeared in midair. Although Shi Feng could not get a clear look at this figure's appearance, the way the figure looked down on all lifeforms and the aura of a ruler the figure exuded prompted Shi Feng to lower his head instinctively. Meanwhile, the rage contained in that figure's voice made even Shi Feng's soul shudder. Fortunately, when the Soul Orb broke through the suppression of the demonic power, this illusory figure also disappeared. With the removal of the seal, the Soul Orb's appearance underwent significant changes. Now, faintly visible golden divine runes circulated on the surface of the orb. Meanwhile, its size also shrank. Previously, it was roughly the same size as an adult's fist. Now, it was only half that size. When the Soul Orb landed back on Shi Feng's palm, he no longer felt like he was under surveillance. Originally a fragment of the Treasure of Illusion. However, due to being refined by the Demon G.o.d Paimon, the fragment's true power has been sealed. Currently, a small portion of its power has been repaired. Although Demon G.o.d Paimon has sealed the Soul Orb, it has been awakened by the Golden Stigmata. The seal can be removed by absorbing divine power. If this item is wielded by anyone else, they will receive a backlash from both demonic power and divine power. Amazing! These Attributes are truly amazing! 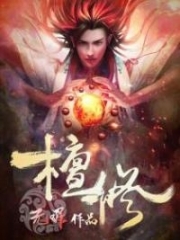 Shi Feng was astounded by the text introduction of the Soul Orb. Back when the Soul Orb was still at Epic rank, it was already plenty amazing. Now that it had recovered and reached the Fragmented Legendary rank, its Attributes had become even more awesome. Not only was the number of souls required for the Soul Water halved, but now, he could even produce the Crystal of Souls. Although making a Crystal of Souls was much more troublesome than the process for the Soul Water, the Crystal of Souls was an item that could be obtained only through luck in G.o.d's Domain. Meanwhile, the Crystal of Souls could not only raise a player's focus like the Soul Water could but also gather Mana around itself, allowing players to remain at peak mental conditions and further increasing their focus. Moreover, the Crystal of Souls had a duration of 5 hours, while its Cooldown was 10 hours. In G.o.d's Domain, the Crystal of Souls could rank within the top ten among the various support items for combat players. Normally, the crystal could only be found in ancient ruins. Now that the Soul Orb had gained such an ability, Shi Feng could not help but wish he could immediately set out and ma.s.sacre a bunch of Great Lords. Moreover, even if he died now, the Soul Orb would not drop from his bag. He could move about without fear. At the same time, without the surveillance of the Demon G.o.d, Dark Players would have a difficult time finding out that the Soul Orb was in his hands. 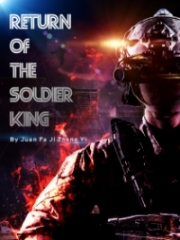 However, Shi Feng did not know that after he lifted the seal, a commotion erupted among all the dark forces. The original bounty Paimon had placed on Shi Feng had already tempted many people into action. Now, however, the bounty became even more lavish. System: Demon G.o.d Paimon has sent out a recovery order for the Soul Orb. As long as one can kill the Soul Orb's wielder and obtain the Soul Orb, Demon G.o.d Paimon will personally promote them to the Viscount rank as well as provide abundant rewards. Those who wish to accept the quest need to pay 2,000 Magic Crystals. Do you wish to accept the quest? This quest is valid long-term and can be accepted at any time. This quest does not have a time limit. When this recovery order was released, it immediately tempted countless Dark Players into action. It was already plenty difficult to get promoted to the Baron rank. Yet, now, the Demon G.o.d Paimon was actually offering to raise them directly to the Viscount rank, which was one rank higher than Baron. How could they not be tempted? Elsewhere, Shi Feng remained ignorant of this matter. He simply sat quietly beneath a tree as he carefully admired the golden ring he had stolen from the Dark Shaman King, Raymond. 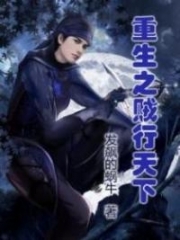 You're Read Reincarnation Of The Strongest Sword God Chapter 1311 Upgrading To Fragmented Legendary Rank online at NovelOnlineFull.com. You can use the follow function to bookmark your favorite novel ( Only for registered users ). If you find any errors ( can't read,broken links, can't load photos, etc.. ), Please let us know so we can fix it as soon as possible. And when you start a conversation or debate about a certain topic with other people, please do not offend them just because you don't like their opinions. You're reading Reincarnation Of The Strongest Sword God. This manga has been translated by Updating. Author(s): Lucky Cat. Already has 2364 views. Current Time is 18-Apr-2019 12:26:05 PM.